Founded by Ajahn Sumedho, this monastery is situated in the Redwood Valley, California. and is the first monastery of its kind in the US. It is 13 miles (21 km) north of Ukiah. The Senior Monks lead meditation retreats and teaches Dhamma in and around California. Both Ajahn Pasanno and Ajahn Amaro act as the co-Abbots. Located in HarnhamNorthumberland, England, this beautiful monastery has a retreat facility named Kusala House, where lay people too can reside and meditate. Presently there are 11 members of Sangha with Ajahn Munindo as the Abbot. 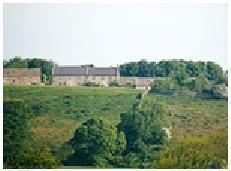 Monks from this monastery often teach meditation groups in the North of England and Scotland. Retreats are conducted at Kusala house for both male and female retreatants throughout the year. Ajahn Sumedho founded this very popular monastery in 1984. Situated in Hertfordshire, within commuting distance from London (30 miles) makes it an accessible place of practice for many. The spacious and countryside environment so close to a busy metropolitan makes it an endearing place of visit for the laity to practice in quietude. The resident community numbers around 35 members and the monastery hosts retreats, festivals, talks, and workshops regularly, except during the three month winter retreat from end December to end March. Situated in a 126 acre woodland near Wellington this beautiful monastic sanctuary is an ideal place for those who aspire for a peaceful dwelling to practice the path of Dhamma leading to enlightenment. Isolated lodgings within the forest offer a suitable environment to practice in solitude, while living within the monastic community provides the necessary inner security of knowing you are not alone. Even though the monastery is mainly built for silent mediation practice, there is a large public area and a meeting hall for religious festivals, public meetings and retreats. The Abbot, Ajahn Thiradhammo, gives instructions in meditation and teaches the Buddhist way of living. The senior monks teach meditation and lead retreats in the monastery as well as abroad. A beautiful Monastery in mountainous Switzerland this is located in Kandersteg at an altitude of 1200m. Ajahn Khemasiri is the leader of the small community. This beautiful monastery was founded during the life time of Ajahn Chah and the venerable Master had visited this monastery, in his visit to Europe. Situated in an area of remarkable natural beauty in East Devon this monastery was founded in 1986. In comprised of an old cottage, adjoining guest accommodation and twenty acres of fields with a newly plated woodland containing a pond. For the meditative practising monks there are four kutis where they can spend their time in solitude. Ajahn Jutindharo is the senior incumbent. Santha Cittaarama means the garden where the peaceful heart resides. “Arama” in Pali means a beautiful garden full of natural endowments. A place where huge trees, ponds, lakes, wild life like deer, and streamlets makes the visitors heart relax and enjoy the beauties of nature and be happy. This monastery was established in 1990. Located in the Sabina hills of Rieti province, it is 35 miles to the North of Rome. Situated amongst the olive groves and vineyards of Italy, the monastery has 10 hectares of woodland and meadow where several buildings are housed. The Abbot is Ajahn Chandapalo and there are usually 7 or 8 monks. A small monastery found in Warwickshire. The Senior monk is Ajahn Kemadhammo here. A few other monks and a lay attendant takes care of the needs services provided by this monastery., and he lives with other monks and a lay attendant. This headquarters of “Angulimala”, the state Buddhist guidance service whereby prison inmates are helped to come to the Dhamma path, carries out many lay retreats all through the year. This monastery offers an opportunity for all those who wish to practice in solitude and deepen their mediation. A Buddhist monastery of Ajahn Chah’s tradition, it is located in the midst of native bush, pine, streams and rolling hills. This is one place where all nationalities can get together and work in harmony, for a common goal. “Vimutti” means freedom (from suffering). 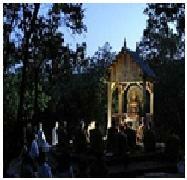 A Buddhist monastery of the Thai ‘Theravada’ forest tradition, just a couple of hours north of Sydney. Wat Buddha Dhamma was set up as a monastery with the intention of being a spiritual home, not just for monastics living here, but for the lay community as well. While there are organized retreats from time to time, you are most welcome to visit at any time. 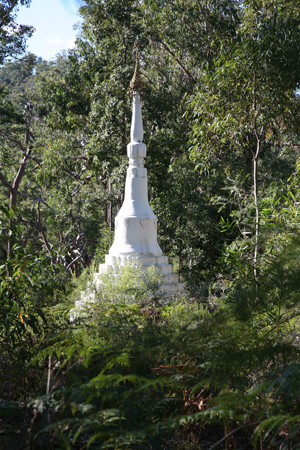 The Wat lies some fifteen kilometres inland from the Wiseman’s Ferry road, and is to be found in a secluded valley in the coastal surroundings of the Dharug national park. Wat Buddha Dhamma is devoted to the training of monks, nuns and lay practitioners. People are welcome to visit and it is possible to arrange to stay as a guest for a period of time, sharing in the lifestyle of the monastic community. The Wat encourages the development of seclusion, simplicity and renunciation. It is the dedicated commitment to this way of life that facilitates a communal atmosphere where people of diverse backgrounds, nationalities, and personalities can live in harmony and to practice the Teachings of the Lord Buddha to realise Ultimate Liberation. Nestled within the Dharug National Park, the Wat’s 90 hectares are virtually indistinguishable from the beautiful bushland that surrounds it. The Wat welcomes enquirers into and practitioners of Buddhist meditation. It is a centre for the development and practice of skilful living, calm and insight, and for loving-kindness. 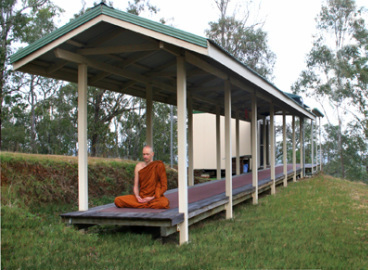 Located on 85 acres in a serene, natural environment amid forested hills adjoining D’Aguilar National Park, yet only 45 mins drive from Brisbane CBD, Dhammagiri Forest Hermitage provides us with ideal conditions to follow the Buddha’s advice. The idea of Dhammagiri is to establish a Hermitage in the Theravāda Buddhist forest tradition. 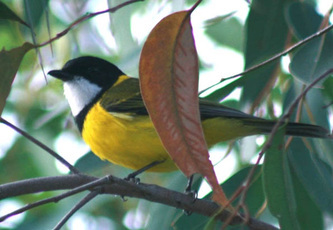 It is the first of its kind in Queensland. The Hermitage's main purpose is to serve as residence for a small number of Buddhist monks. Based on a strict standard of virtue, the monks are dedicated to renunciation of sensuality and material possessions. In simplicity and solitude they practice meditation to develop states of profound stillness, concentration and bliss (samādhi). The resultant calm and one-pointedness of mind is used to develop insight into things as they really are. Wisdom arises and is progressively deepened in a process of thorough investigation of reality (vipassanā), until ultimately the mind is liberated from greed, hatred, and delusion in the experience of Nibbāna. Dhammagiri also supports the lay community in their practice of the Buddhist teachings. By offering almsfood and other requisites to the monastic community, and by sharing their merits with deceased relatives and all living beings, visitors to the Hermitage develop generosity (dāna) in the traditional Buddhist form. After the meal, the senior monk is available for discussion. Visitors can deepen their theoretical knowledge of the Buddha's teaching, and receive instructions and encouragement to apply this knowledge to their own particular problems and conditions in everyday life. Please note that Bhikkhu Dhammasiha does not use emails. Emails are initially directed to the webmaster. The best time to call Bhikkhu Dhammasiha is between 6:45am and 9am. At other times, please leave a message.